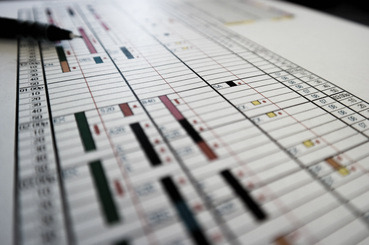 Some would call Scheduling our specialty - we see it as one essential part of an integrated, well-functioning practice. The key is our proprietary software (shown), which we developed to enable doctors to see exactly where they should be at every moment of their day, down to each specific procedure. Alexander & Sons understands that scheduling affects the entire practice, its stress level, and its marketability. Some would call Scheduling our specialty; we see it as one essential part of an integrated, well-functioning practice. It is not uncommon for our doctors to see upwards of 120 patients a day as a result of working with us on their appointment scheduling. Our proprietary software (shown) was developed to enable doctors to see exactly where they should be at every moment of their day. Combined with our extensive experience working with the most efficient practices in the world, we customize templates to your specific practice, treatment approach and personality. Our system is flexible enough to be custom-tailored to your practice, patients and office needs; allows enough complexity to handle your many different procedures, and yet is simple enough to use that staff members can effectively work the system with ease. We'll then work with you on implementing the templates in your management software. Alexander & Sons understands that scheduling affects the entire practice, its stress level, and its marketability. Reach out if you'd like to tighten up your schedule and maximize efficiency in your practice.